It’s time to amp up your beauty routine this season. Whether you need to repair damage done from the harmful summer rays or prep for dry winter conditions, here are products you should know about. Brighten dull skin and bleach those pesky dark sun spots with pur-lisse pur-bright. This serum contains their trademark Lotus Lupine Peptide Complex, nine powerful plants extracts and Vitamin C to safely even out skin tone. Purlisse.com, $135. Say bye-bye to crows feet with Ahava Time Line Age Defying Continual Eye Treat. The Time Line collection contains powerful, natural nourishing ingredients all harvested from the Dead Sea’s vast reservoir of minerals. This eye gel-cream keeps the eye area moisturized for eight hours, so apply under makeup or at night to diminish wrinkles. AhavaUS.com, $42. 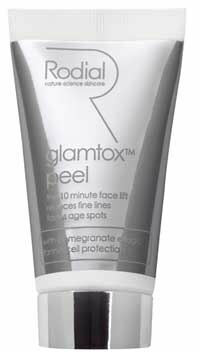 Apply, relax, then peel off the Rodial Glamtox Peel clay mask. In only10 minutes, firm, lift and reduce the appearance of fine lines and wrinkles. DermaDoctor.com, $90. Beautiful skin starts from the inside. 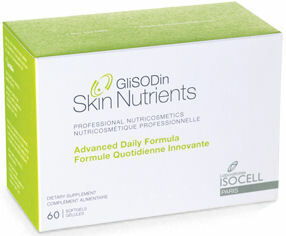 GliSODin Skin Nutrients Advanced Daily Formula soft gels contain Krill Oil to help and reduce inflammation that causes red spots and dry itchy skin; Sea Buckthorn Berry Oil for skin clarity and immunity; Cacao Bean enhances dermal circulation and antioxidant action; and Hyaluronic Acid improves skin firmness. Skinstore.com, $95. Don’t go under the knife, get an instant facelift with Jennifer Flavin-Stallone’s Serious Skin Care Firma-Face XR. This new three minute cosmetic facial treatment lasts all day, smoothes wrinkles, shrink pores, reduces laugh lines and crows feet. HSN.com, $49.95. 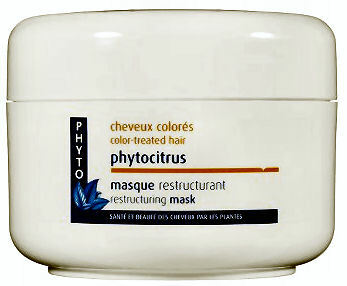 Give colored, highlighted and permed hair a treat with Phyto Phytocitrus Restructuring Mask. It helps color from fading, makes hair soft and bouncy, and adds shine while smoothing the cuticle layer. Sephora.com, $38. First collagen treatments for the face, now for the hair? Umberto Collagen Pre-Shampoo Treatment repairs hair from the inside out. And it only takes ten minutes, once a week! It plump the hair cuticle with hydrolyzed collagen and protein for smooth, silky and youthful-looking hair, and seals the surface of the hair to eliminate frizz and add a healthy shine. Sold exclusively at Target, $9.99. Wet or dry, day or night, use White Sands The Cure 24/7 to repair split ends and fill cuticle cracks. Their Cellular Bridging technology delivers non-stop conditioning, serving as a second skin to moisturize internally while repelling humidity on the outside. WhiteSandsProducts.com, $29.99. 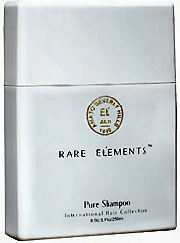 Rare El’ements Pure Shampoo is free of sulfates and hydrates hair while removing product build-up. It includes Kalahari oil, an African watermelon seed oil, that naturally dissolves sebum build-up for a healthy scalp and to stimulate hair growth. NatureOfBeauty.com, $34. Before picking up that flat iron or blow-dryer, protect hair with H2pro Silk 1-Minute Thermal Hair Treatment. The heat from the styling tools actually activate jojoba crystals to lock in moisture and repair damaged locks to improve the condition and texture of your locks. H2probeautylife.com, $13. Exfoliate your entire body with Priti Deep For Your Feet Organic Sugar Scrub. The sugar’s alpha-hydroxy acids reveals fresh new skin by removing dead skin cells and mint and rosemary essential oils help heal mental fatigue, stress, and stimulate cell renewal. PritiNYC.com, $20. Mint and Rosemary being our favorite signature Deep Mani/Pedi sugar scrub. We thought we would make some for you to take home too. Just because summer is over, it doesn’t mean you have to put up with pasty legs. St. Tropez Everyday Perfect Legs. Not only does this give you a natural looking tan, but thanks to their trademarked Aromaguard fragrance technology, you won’t have to deal with the unpleasant odor usually associated with self-tanning products. BeautyBazzar.com, $45. 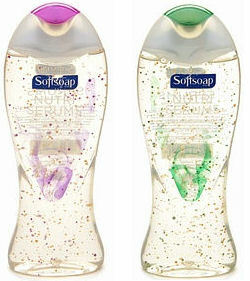 Nourish and hydrate your skin in the shower with Softsoap Nutri Serums body washes. Choose from Restoring with Vitamin E and Moisture Retaining with Omegas 3 & 6 to cure your dry skin blues. Available at drugstores, $4.50. 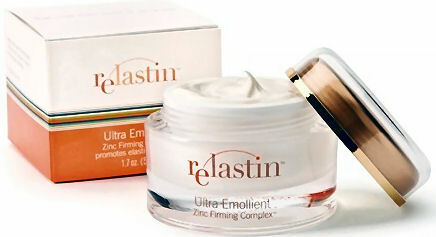 You may already use Relastin Ultra Emollient on the face, but don’t forget to apply it on the neck! Their Zinc Firming Complex helps restore elasticity, resulting in a younger, more firm neck in only 2-4 weeks. It also contains Vitamin A to reduce the appearance of wrinkles and Vitamin C to brighten, moisturize and encourage collagen production. Relastin.com, $99. You don’t need greasy lotions to moisturize your body anymore. Hemperor Natureshea contains Hemp Seed Oil and other natural ingredients including Sweet Almond Oil and Jojoba Oil, and Vitamins A, C, and E for soft and glowing skin. Dvada.com, $34.95.